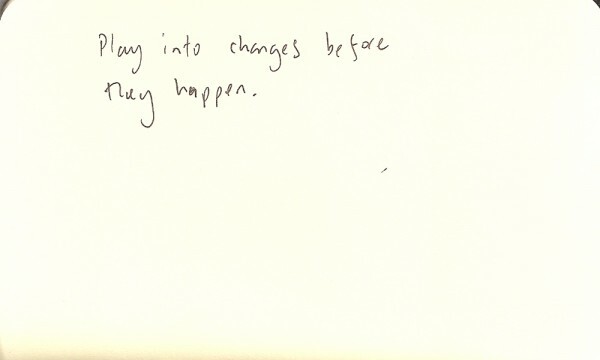 Play into changes before they happen. So you get the tension. It’s the same sort of feeling as a suspension, and it works both ways, too. E.g., carry on playing F- sounds when the chord moves to Cmaj, then resolve. You could extend it, too. Say you’re playing All The Things You Are: Start on F- and then just abandon the Bb- Eb7 Ab∆ Db∆ G7, and just play on C∆. You could extend this idea by just always playing in C for the whole gig, and when the harmony co-incides, it’s a bit like when the planets align.